Hear what Jesus has to say to you during this major life transition. During times of transition and unknown next steps, it is more important than ever to cling to the promises of God and to tune your ear to hear what Jesus has to say. 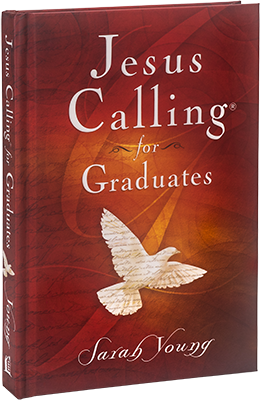 Jesus Calling® for Graduates provides guidance and encouragement for grads as they venture into the next phase of their lives.